A post surgical garment with drain management that features VELCRO® brand hook-and-loop fastener on the inside securely holds removable drain pouches. A post surgical garment with drain management that features VELCRO® brand hook-and-loop fastener on the inside securely holds removable drain pouches.The stretch neckline for easy step-in entry and the ultra-soft cotton fabric offers a snug but non-restrictive fit. 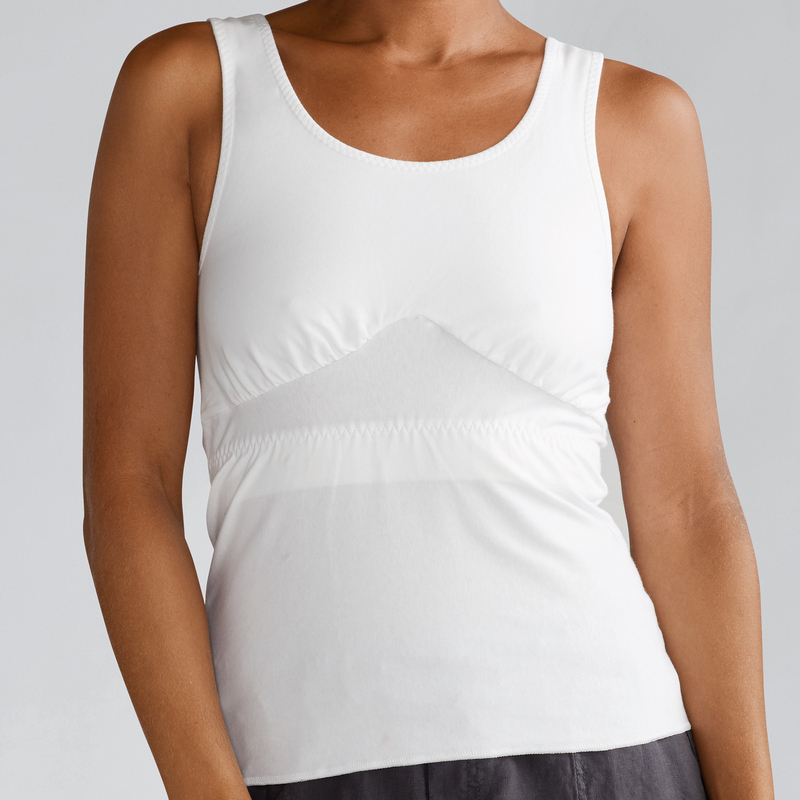 Cotton pockets and smooth interior side seams for comfort to sensitive skin.